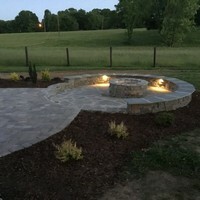 Latest Projects | Huntsville Landscaping | Five Star Lawn and Landscaping, Inc. The Askins wanted a place where they could sit back and enjoy their peaceful country setting and also have more room to enjoy their family. We started with removal of the old deck that was small and made of treated lumber that was splintering. We replaced it with a larger deck made of composite that will not splinter. The customers also wanted a place to get out of the sun…. Five Star Lawn and Landscaping, Inc. completed a Paver Patio project with a grill station, bubbling rock, sitting wall, and fire pit. 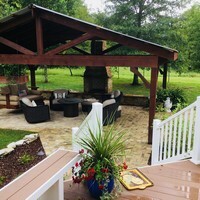 Let us help you create your outdoor living area. 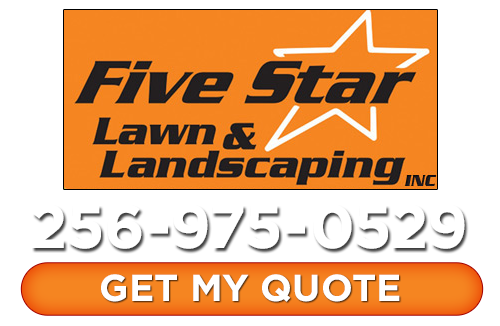 If you’re looking for latest projects from your professional landscaper in Huntsville and surrounding areas, then please call Five Star Lawn and Landscaping, Inc. at 256-975-0529 or complete our online request form.